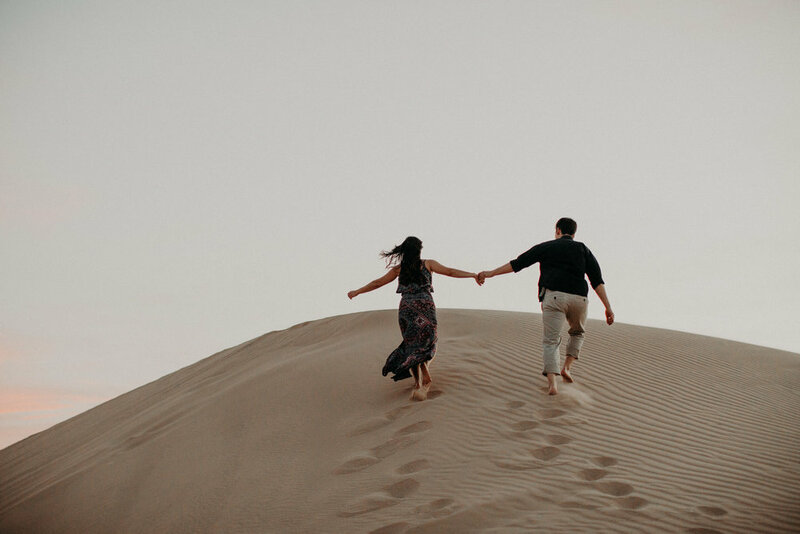 The Glamis Sand Dunes is such a gorgeous place to elope! 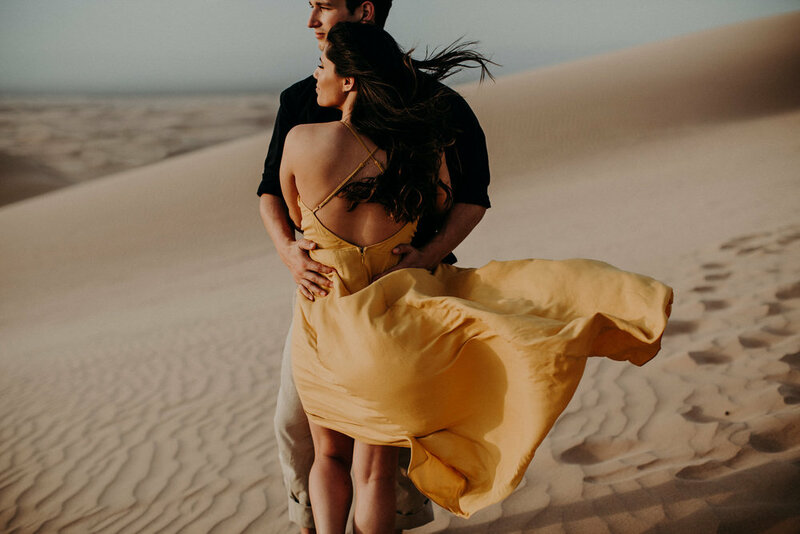 Not too far of a drive (compared to typical Cali driving) away from Palm Springs is the Imperial Sand Dunes which provide a romantic landscape for any type of photo shoot. 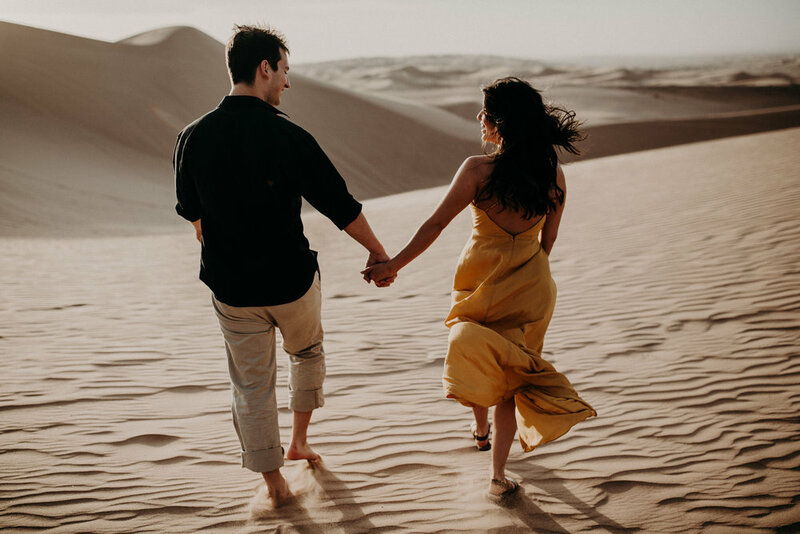 If anyone is looking for a romantic but private place to elope in SoCal, this is the perfect place! A little of how I stumbled upon this place; living between the PNW and the prairies, I photograph a lot of mountains, oceans, lakes, fields, and even urban settings. Having booked a wedding in Southern California, I soon realized there was a great opportunity to shoot something different and once again get my creative juices flowing. The sand dunes were calling my name! After reaching out to my friend Kelly and her boyfriend Tim, they generously agreed to make the drive from Loma Linda to this gorgeous place and model for me! Needless to say, it was a lot of fun, and this probably is my favourite session I have done so far! 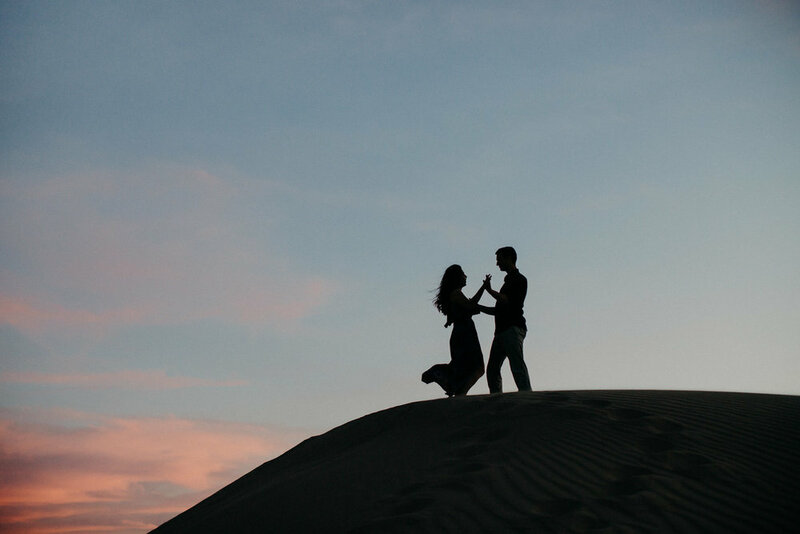 Are you wanting to elope here? Contact me for details!